Every person who manages a child care center understands what a challenge collecting tuition can be. In the past, administrators and parents alike have been hampered by traditional tuition collecting practices. Dealing with paper invoices and cash or check payments can lead to a muddled process, and you will need to manually log this information into your ledgers while making multiple bank runs. These extra steps convolute your tuition collection process; however, overcoming this hurdle will enable you to provide even higher quality care for children at your center. By utilizing digital payment processing, your center can eliminate the number of outstanding payments that you deal with, expand payment options for parents, and maintain a strong flow of cash throughout the year. There are so many moving parts within a child care business, regardless of the operation’s size. From our perspective, administrators will greatly benefit from consolidating some of the demands that come with operating a center. That starts with effectively and efficiently collecting tuition payments. In the past, we have touched upon how you can go about simplifying tuition collection to make it easier on you and the parents, and how you can amplify your tuition collection capabilities. This time around, we are going to focus on the challenge of collecting tuition and how better payment processing can be the antidote for what is ailing your organization. Finding the right software can make all the difference for your child care center. For this reason, we’re highlighting some of the most crucial elements that you should be looking for when it comes to payment processing. There needs to be a premium put on safety and security. That applies to every aspect of your child care center, and if you choose to utilize digital payment processing, safely collecting tuition will become an easy task. As a society, we are seeing a major shift toward mobile devices and online payments. Before moving forward with adopting payment processing software, you should first guarantee that it will utilize encrypted payments and that it’s regularly tested and audited to maintain the Payment Card Industry’s highest standards. 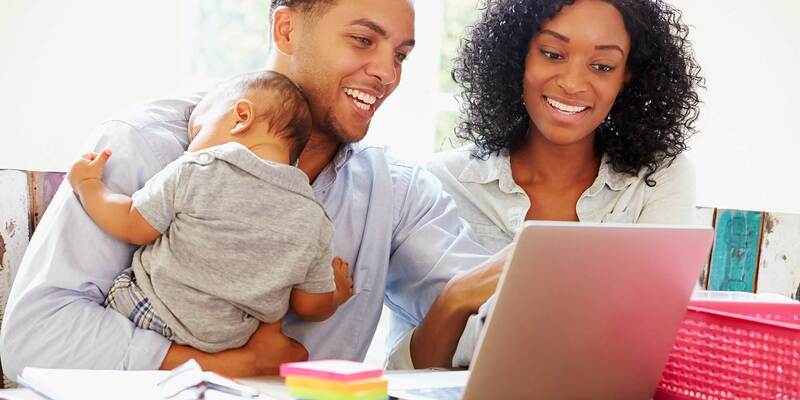 Offering an expanded list of payment options for parents to use can provide massive value as far as convenience goes, but it will also keep things simple on your side. Gaining the ability to expand your child care’s list of accepted methods of payment will change everything. Beyond the options for forms of payment, an underrated element that the best payment processing software will offer is recurring payments through direct debit. Chasing down payments will become less of a hassle if parents can treat it like a subscription service, the difference being instead of Netflix they are paying for child care. Mobile devices are doing their best to make traditional wallets a relic of the past, and millennials are the driving force behind it. Everything is streamlined for millennial parents, and they are making up a majority of new parents who will be exploring child care options. Offering a mobile app that includes everything a parent might need is good for your brand. Consider that 80% of millennials use the internet to manage their finances and pay bills. There aren’t many features that add more value to a payment processing software than enhanced mobile capabilities that make communicating and keeping everybody in the loop, including parents and staff, more convenient. The best software options for your child care center will work together. If you are using child care software solutions already, then digital payment processing will be a seamless fit. Installing a cohesive system for your child care center keeps everything on track, and it goes back to how important consolidating demands can be when you are working to improve operations. Procare understands what you face on a daily basis as a child care provider, and we are dedicated to providing solutions so that your child care center can go to the next level. That’s why we are so focused on helping you improve visibility into your business by offering tools that will ease common pain points that come with collecting tuition. Learn more about what features and capabilities separate Tuition Express from the competition.